Cremation Service. 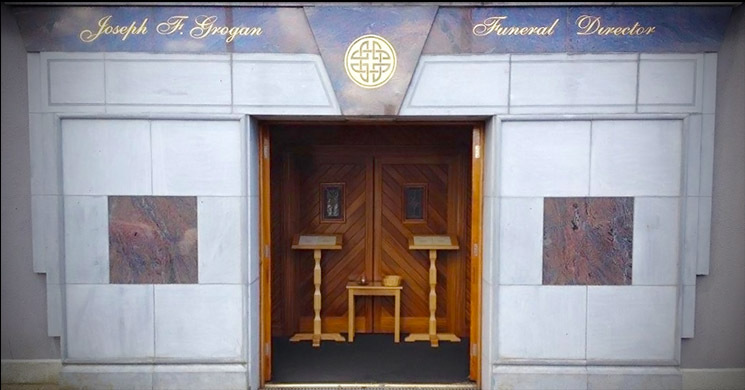 Today, all of the Christian denominations, including the Catholic Church and the Church of Ireland allow cremation. As with burials, it is normal but not obligatory, to have appropriate services celebrated in the local church. The coffin is then removed to the Chapel in the Crematorium grounds where a short committal service, similar to that at the graveside in the case of burial, may take place. There are three Crematoria in Ireland, all located in Dublin. Cremation has become very popular over the past decade. Pre-paid funerals plans arranged. Pre-paid funerals is a product that is relatively new to Ireland is the prepaid funeral plan. This plan which is operated by Golden Charter Funeral Plans allows you to pay for a funeral service of your choice now and no matter how much the cost may rise in years to come, neither you or your loved ones will be asked for a penny more. Your payment goes into the Golden Charter Trust, which holds the money for your funeral on behalf of the funeral director. This is why the funeral director is able to provide a legally binding contract, which guarantees your funeral arrangements will be carried out exactly as you wish.